With the increasing demands of dementia caregiving, a day may come when it is no longer possible to care for your loved one at home. 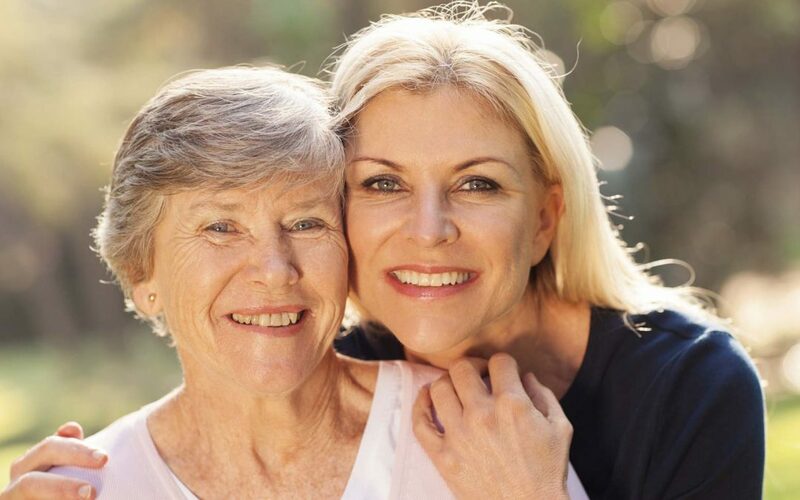 Whether it is for safety, health, or financial reasons, you may feel that it is now finally time to move your loved one to a specialized dementia care community. You have done everything right. Your hard work and discipline have paid off. You’ve contacted or visited several memory care communities. You were able to match the services that different care facilities had to offer with your loved one’s needs, and found the most appropriate fit. You interviewed the staff and administration, asked all the right questions and feel comfortable with their approach to dementia care and the quality of services provided. You have made financial arrangements and secured the means to pay for residential care for years to come. You had your trusted attorney read and approve the admission agreement and you are ready for the move. The logistic and administrative aspects of moving a loved one to a dementia care community are important elements of a successful transition. But we mustn’t forget the immense emotional toll that is also involved in the move. For starters, you are the one who has to make the final decision. The person with dementia is often unable to participate in this decision because of the lack of insight brought on by dementia itself. He/she may not understand the need for care or recognize the amount of care needed. That is your job as a caregiver and is often a solitary responsibility. You will have to make this decision based not on who your loved one once was, but rather who they are today, after the onset of dementia. This whole process may leave you feeling uncertain that you’re doing the best move for your loved one. Add to this uncertainty, the feelings of guilt and grief that you may be going through at this very moment. Even after all the research, soul searching, hard work, and self-discipline, moving still seems painful. The following tips are meant to help ease the move for people with dementia and to better accommodate their special needs during this vulnerable transition time. Please note: there is no one singular “best” approach and what may work for one family, may not be successful for another. Use your own discretion on how to use these suggestions and consider your loved one’s personality when doing so. 1. Do not announce the move in advance—Avoid anticipation anxiety by not telling your loved one that they will be moving on during the next month or so. Wait until it is close to the move-in date to inform them, or even tell them only at the very moment of the move. Moving anticipation anxiety can cause extreme negative feelings that may escalate into extreme behaviors. By not giving them too much of an advance notice, you will promote a calmer state of mind for the transition. 2. Use fiblets—Your loved one does not need to know right away that this will be their new home for the long run. They may be happier in the idea that the stay is just for a short period of time (say, you’re having the carpets cleaned this week, or the family will be out-of-town and in the meantime you have made arrangements to have them stay at a really nice facility). You can repeat the same information when asked again until they are used to the new surroundings. Collaborate with other visitors and staff so everybody provides your loved one with the same message and works together as a team to ensure a successful move. 3. Use medication wisely—Consult with your loved one’s doctor to adjust their medications for those vulnerable days around the move. A good doctor should be able to prescribe anti-anxiety medication to make the transition much easier for them, and for you. You may want to start the prescribed regimen about a week before the move and start weaning them off the medication a couple of weeks after the move, as they become more familiar and comfortable with the staff and new surroundings. 4. Bring familiar items to the new home—Decorate the new surroundings with some of your loved one’s own furniture, mementos and items that bring comfort, such as photos and familiar books. Objects and belongings should be packed and moved outside of view to avoid generating anxiety. Consider eliciting the help of a family member or friend to do some activity elsewhere, so you have privacy to make the decisions on what to bring. This is also a tender moment for you as well, and when in doubt about the sentimental value of an item, keep in mind that you can always bring it at a later date. 5. Avoid visiting during the first week—Yes…it’s always hard to let go! But those very first days can be crucial when it comes to developing new relationships with staff members and other residents. Your presence may remind them that this is not really their family and compel them to ask you to take them back home with you — setting backward the already sensitive process of adaptation. Keep open lines of communication with staff and work with them to build up their relationship with your loved one, until your visits can be safely made on a regular and supportive schedule. 6. Take care of yourself—This is a very tender time for you too, so make sure your needs are being addressed as well. Get some extra rest and relaxation along with some exercise and fresh air. Visit friends and do something nice for yourself. You need to be cared for too, because the journey is not over yet. You are still your loved one’s voice and companion, only now you have a qualified team to do the hands-on care while you take a more consulting role. 7. Remember that it too, will pass—As difficult as this transition is for your loved one with dementia, it is also very hard on you. In time, they will make new friends, bond with staff, enjoy the activities, move on and thrive. Later, they may still ask you to take them home once in a while and they may still feel lonely for a while. But ultimately, they will adjust, have much better care and enjoy their social life because you took the time to prepare and find the right care for them. And because of your efforts, they will have a better quality of life and be safe, comfortable, and content during their remaining years.